...I've just been thinking of other things a bit more. I love butterflies. Who doesn't? Soft, fluttering creatures flitting about the Spring garden; bouncing from flower to flower. Fern tries to catch them, but luckily for them (and me) she doesn't get close. We just watch them, and marvel at their innocent and irreverent beauty. It's a design that - I hope - captures that beauty! 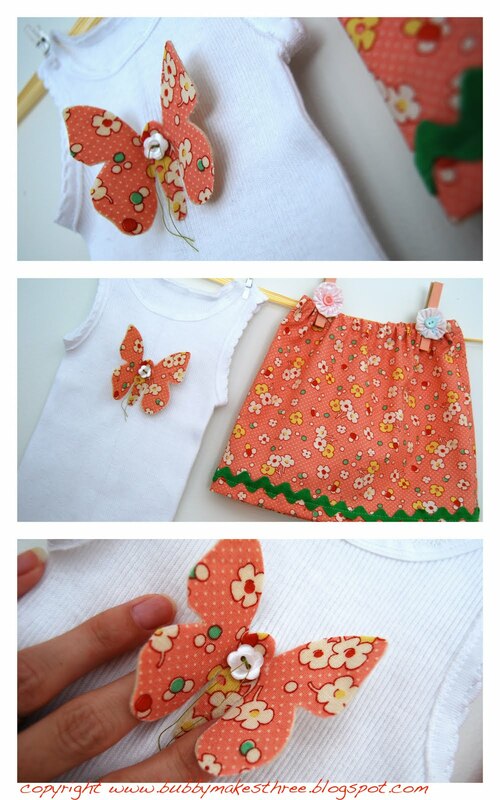 My butterfly is made from fabric and felt and is designed to actually lift up from the clothing in a two dimensional fashion. These moveable wings actually flutter in the breeze; I wish I could capture that movement in these photos! 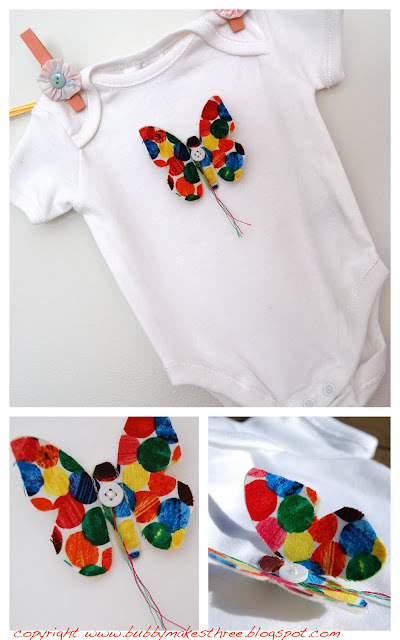 Each butterfly features a unique print and is appliqued by the stem onto a piece of clothing, then handsewn for added strength with a little button adronment. I am so proud of this design, because I have never seen it anywhere else! What a cute idea! If only I had girls! Nicole, these are just gorgeous!! 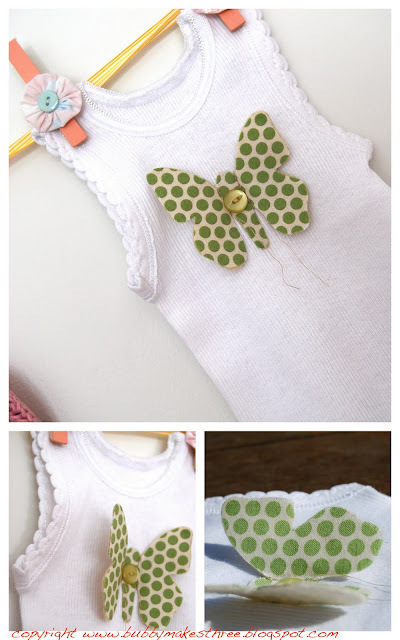 Every little girl needs such sweet whimsy in her life. these are SO beautiful!!! I'll be adding one to my cart, me thinks! I'm not exactly sure when mothers day is... im trusting that my husband does though (yeah right)! Yes, typo is AMAZING.. a little like ikea though, everything is so cheap that you collect so much and get a rude little shock at the counter! love love love love love love these ... just gorgeous!